Craft project worksheets, printables and decorations for Day of the Dead. 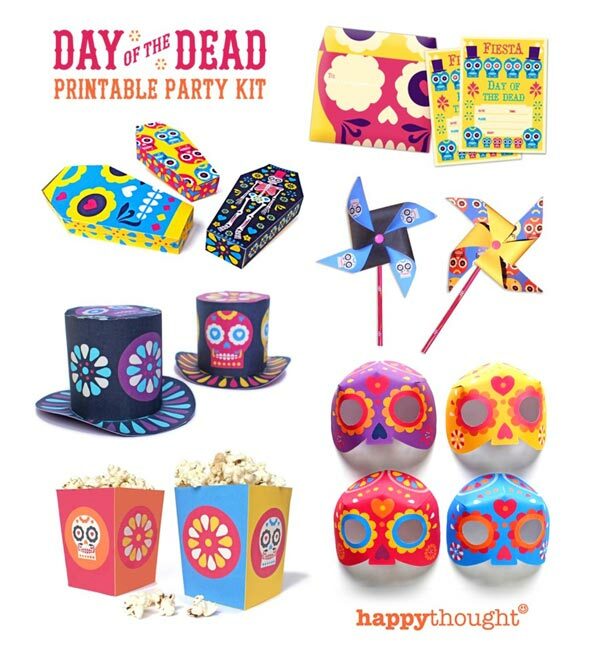 We’ve rounded up some of our favourite products, craft activities and printables for the Day of the Dead, with some special offers for Happythought members! 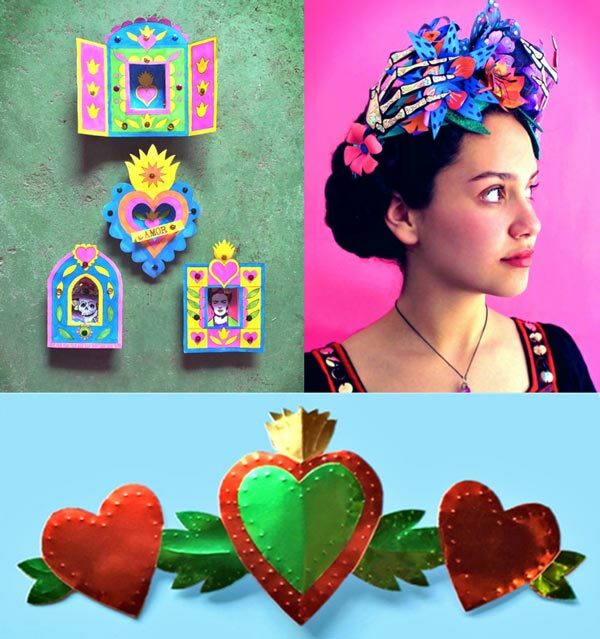 This crafty pack features 18 Day of the Dead worksheets in English and Spanish, plus 6 Day of the Dead craft projects, inspired by this festive, family-centred celebration of friends and relatives no longer with us. 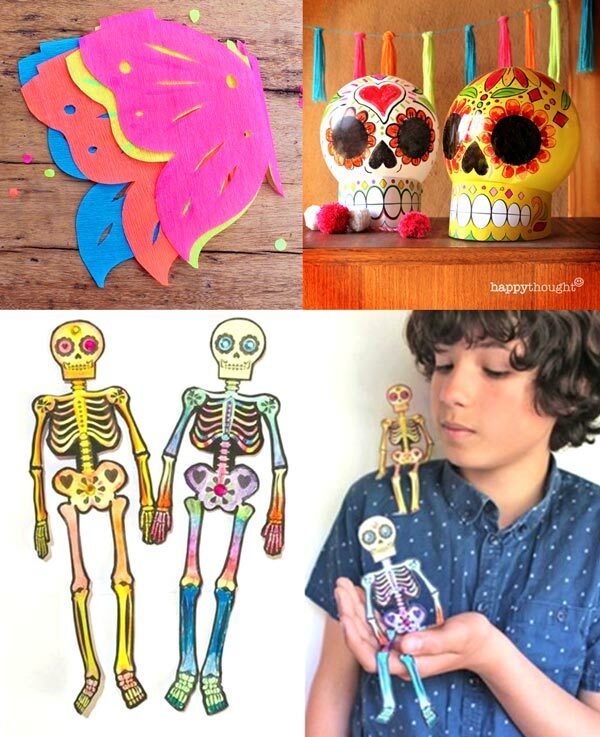 This year we have included a brand new Calavera Ballon craft with templates and instructions. 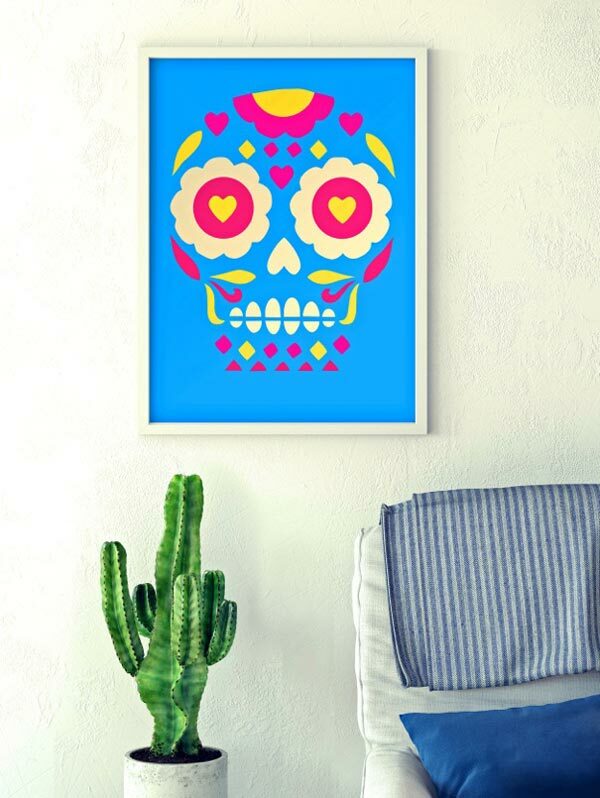 Why not decorate your home with this gorgeous sugar skull print? It’s beautifully printed using museum quality colorfast pigment based inks on to fine art finish archival paper. Believe us when we say this print is vibrant! 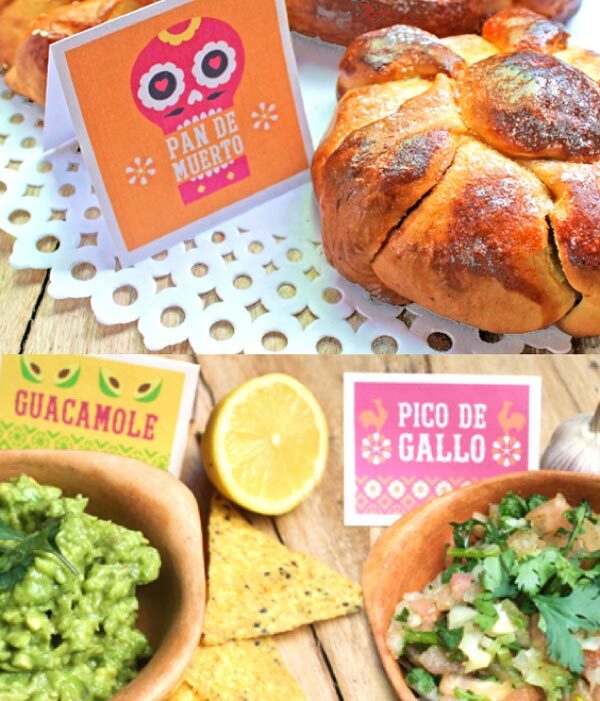 Pan de Muertos, Pico de Gallo and Guacamole – Mexican menu ideas! Lastly, you can also find several recipes on the Happythought site for festive Mexican food and drink ideas. Our favorites include Pan de Muertos, Pico de Gallo and Guacamole. You can top off your table with 99 printable food signs, featuring lots of popular Mexican dishes, along with some blank cards to add your own! So there we have it! Colorful craft project worksheets for el Dia de los Muertos, with worksheets in English and Spanish, printable fiesta pack and popular Day of the Dead prints. 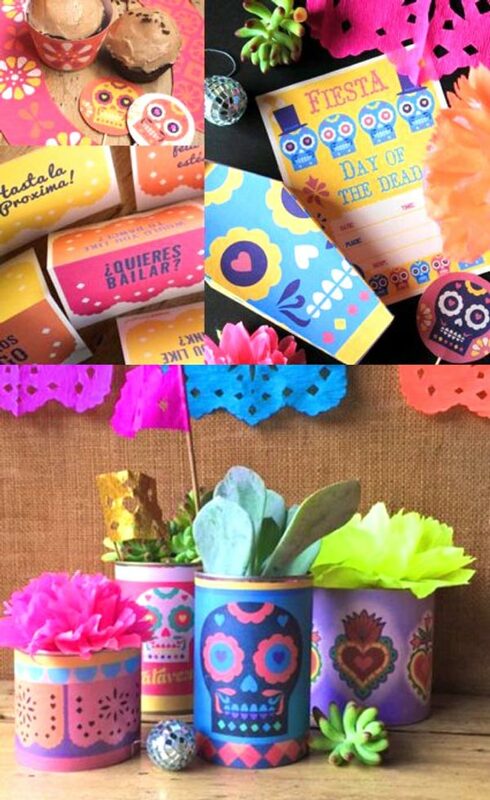 Day of the Dead decoration templates, calavera balloon skull ideas and inspiration for Day of the Dead celebrations. 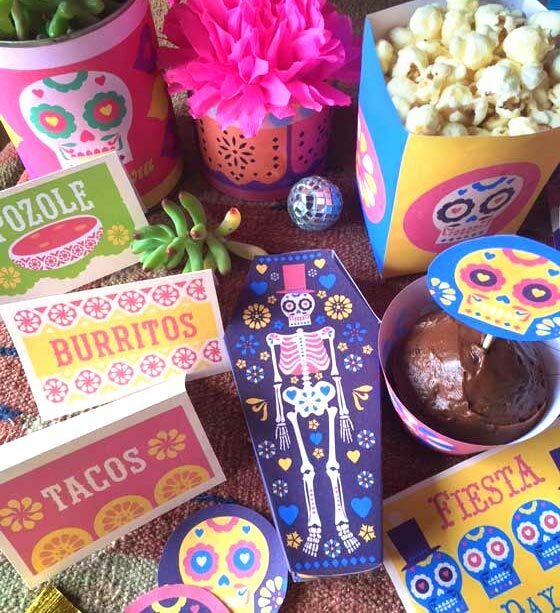 Hope you enjoyed our Day of the Dead craft project worksheets, printables and decorations! If so, please give us a little love; by liking us on facebook, pinning us on pinterest or following us on twitter. Thank you!